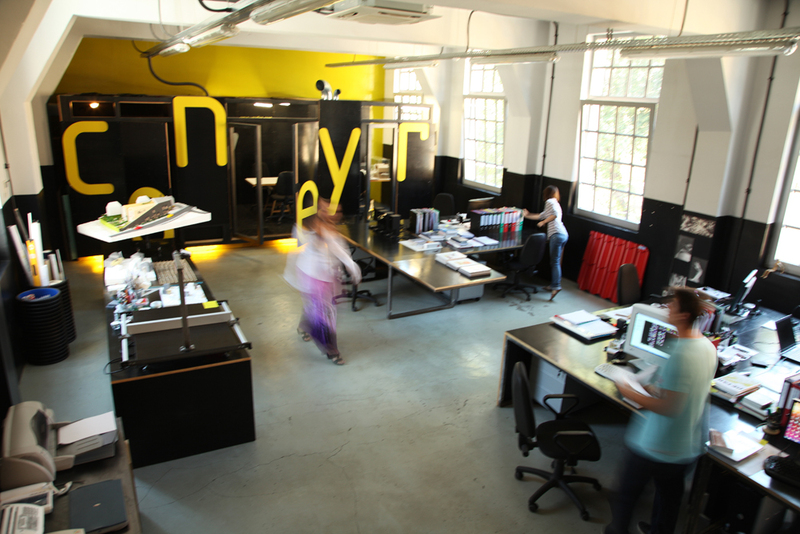 conveyer is a team practicing architecture, design and urbanism. It is based in Sofia and is led by two partners – Angel Savlakov and Ivaylo Andreev. conveyer was founded in 2007 by Ivan Dragoshinski, Angel Savlakov and Ivaylo Andreev. The name of the practice was a reaction against the negative processes in Bulgarian architecture, a result of the construction boom during this period. Since its foundation, the practice has worked on extremely diverse projects ranging from private residences to industrial and sports complexes: AYLA Factory (2007), Т House (2008), Kunino Sport Center (2009), The Flying Village (2010). conveyer has participated in several competitions: Competition for public urban center for Mladost district, Sofia (2008), competition for residential building in Sofia - 1st place (2009), competition for a monument dedicated to the victims of communism in Sofia - 2nd place (2009 ). In 2013 conveyer completed private kindergarten “KITA” in Sofia. The project and its subsequent realization is the first successful attempt of the practice to participate in all of the phases of the construction process – from the initial feasibility studies through detailed design, management of construction and commissioning of the building.